February is designated as National Children’s Dental Health Month by the ADA. Throughout this month, dental health professionals try to focus on educating young patients and their caregivers on oral health. Pregnant women will also receive guidance on how to take care of their oral hygiene, as their habits will undoubtedly affect their children’s oral health. The real challenge in teaching children about oral hygiene lies in making sure that kids understand the importance of taking care of their teeth from a young age. After all, it’s far easier to prevent dental problems than it is to treat them. Taking measures such as brushing twice a day, flossing, and rinsing with mouthwash will help children and adults prevent any serious oral health problems. To protect children’s teeth, you need to introduce them to an effective oral hygiene routine. Here are some tips to help you out. Encourage the children to brush twice daily. Kids under the age of ten should be supervised.Teach proper flossing techniques. Model them as well to prevent them from injuring themselves. Get fluoride treatments in order to prevent tooth decay. Consult the Pediatric dentistry specialists at Kirkland Family Dentistry for more details.Regular dental checkups are a must. Strive to visit the office every 6 months to 1 year. Talk to kids about which foods will help their teeth remain strong. Make sure you tell them the reasons why certain foods are good or bad. In fact, try to get your entire family to follow a teeth-friendly diet as even adults can benefit from these foods. In addition to what your dentist recommends, remember the following tips to regulate what you eat and ensure the health of your teeth. 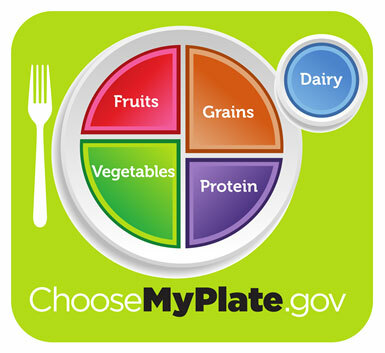 The USDA’s (United States Department of Agriculture) My Plate food template is a simple and healthy starting point if you want guidance for teeth-friendly meal plans. Everyone knows there is no way kids can completely resist the temptation of candy. However, there are a few sugary delights they can sink their teeth in without hurting their teeth. Just make sure that they have the following in moderation. Dark Chocolate – Dark chocolate is high in antioxidants and lower in sugar than milk chocolate.Sugar-free Gum- Chewing gum dislodges food particles from teeth and encourages the production of saliva. More saliva allows acids in the mouth to dissolve.Hard Candies and Sugar-free Lollipops- These are great for kids as they prevent dry mouth by increasing saliva production. On the other hand, your children need to avoid the following bad candy examples. Sour Candy – The acids in these candies can easily damage tooth enamel. Sugary Baked Goods and Snacks – Cookies, cakes, doughnuts and similar snacks are high in sugar and will cause tooth decay if consumed in large quantities. Sticky or Chewy Sweets- Taffy, gummy candy, dried fruits, and other sticky or chewy sweets can get stuck in small teeth crevices. As your child’s toothbrush can’t reach there, they may end up with cavities before your next dental visit. Teaching good oral health habits to kids is a necessary part of education. Most schools will have dedicated programs during February, so make sure your kids participate in them to learn good dental habits. You can also ask your local Kirkland cosmetic dentist or doctor to recommend seminars or exhibitions that are exclusively meant for kids. Your efforts will pay off in the form of less painful visits to the dentists and lower medical bills.